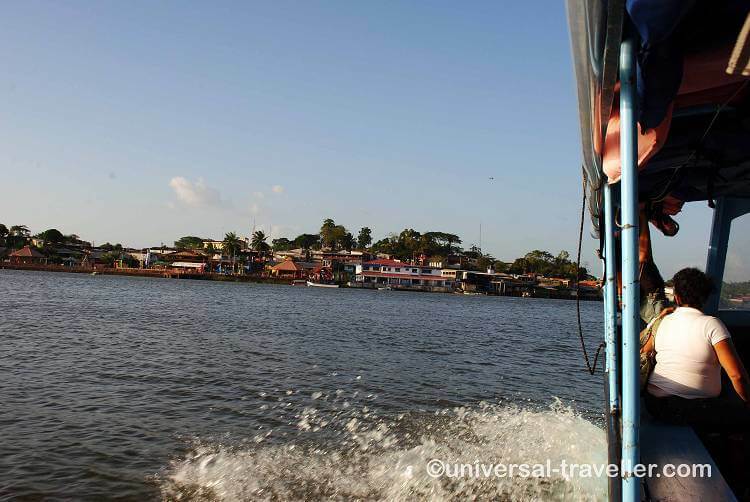 Start your Nicaragua travel with an adventurous border crossing by boat from Costa Rica to Nicaragua and visit the capital city Managua. Explore the beautiful Spanish colonial city Granada by bike and climb the Masaya Volcano by night. Afterwards you can visit the highlights of the Isla Ometepe by bike. Drive further to San Juan del Sur, Nicaragua´s number one Surf destination and end your trip with a visit of the amazing Rincon de la Vieja Volcano National Park in Costa Rica. Most people who are traveling from Costa Rica to Nicaragua cross the border in Peñas Blancas. It is the fastest way when you want to travel to the main destinations like San Juan del Sur, Ometepe, Granada and Managua. 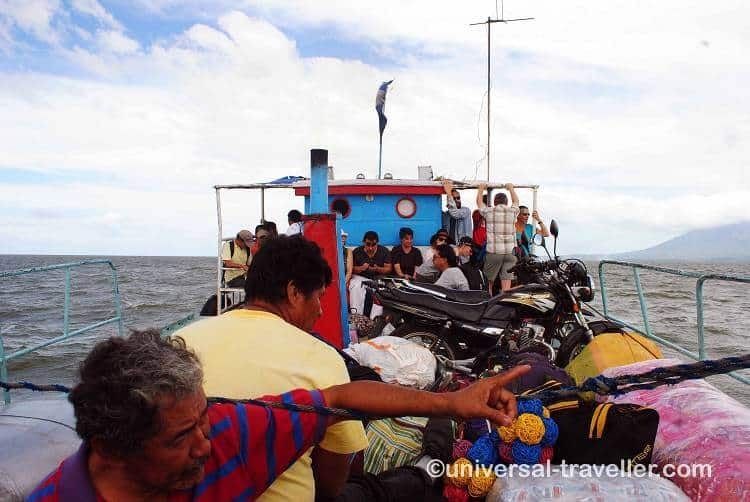 When you however have some time and are looking for a more adventurous border crossing I suggest you to take a boat from Los Chiles in Costa Rica via the Río Frio to San Carlos in Nicaragua. You will end up east of Nicaragua Lake. From here it takes more or less 6 hours by bus to the capital Managua. Today you have time for sightseeing in Managua. Please note that Nicaragua´s capital is not the safest place and you should only walk in certain safe areas. You can either hire a driver or take taxis from one attraction to the other. 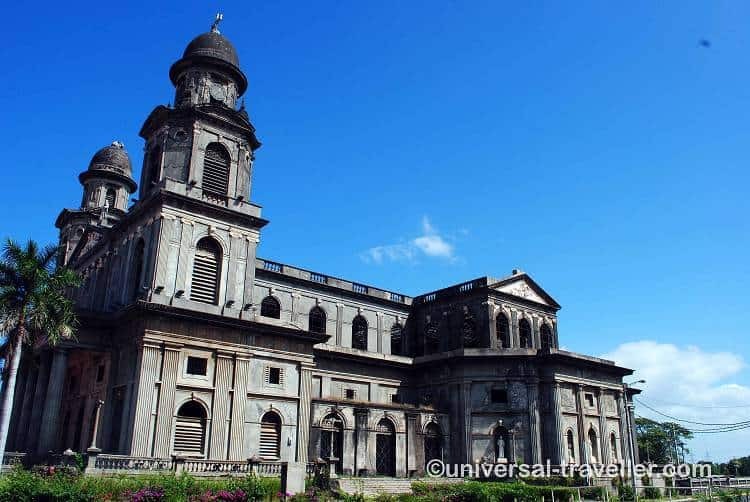 You could start the tour at the Salvador Allende Port, continue to the Plaza de la Revolucion, the Ruins of the Catedral de Managua and visit the Palacio Nacional and the park Loma de Tiscapa. 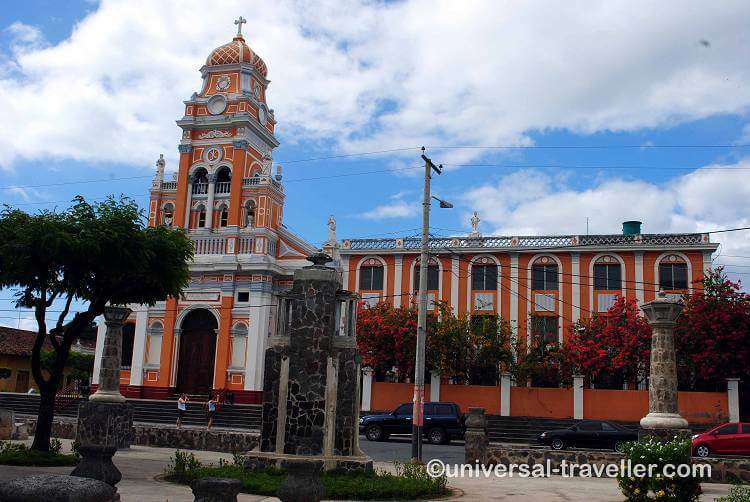 Granada is a beautiful Colonial City with six main churches and a wonderful central park. Every place is easy reachable by walking whereby I think that it is really nice to explore the city by bike. There are several shops where you can rent them. You can take any random street and you will always find a nice place. Granada is in contrast to Managua pretty safe. However I recommend you asking at your hotel which areas are better to avoid. 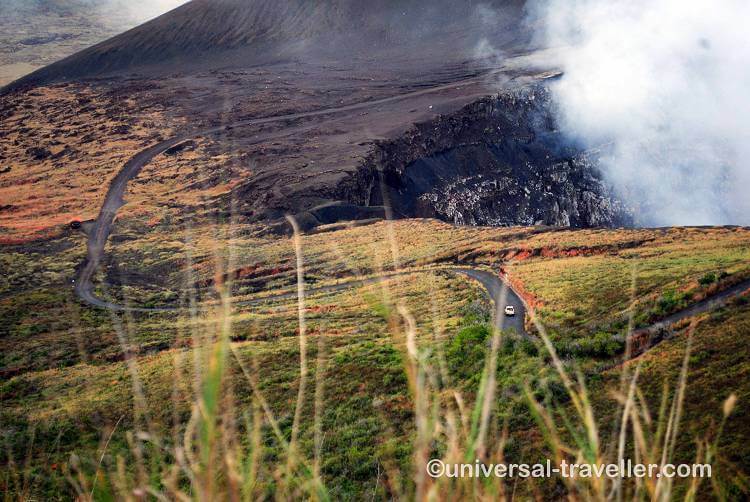 In Granada you can book organised tours to the Masaya Volcano. Normally I am not a big fan of organised tours and prefer doing the trips by my own. In this case however I suggest you booking a Night Tour to the Volcano. It costs $40 and starts at 4pm. You will be back in Granada by 8pm. During the tour you stop near the cross (La Cruz de Bobadilla) from where you have an amazing view over volcano, watch bats coming out of a cave, visit a underground tunnel and end at a viewpoint where you can see red, glwoing lava when you are lucky. From Granada take the bus to Rivas which takes about 1.5 hours. From here you can take a taxi to the ferry terminal in San Jorge which are just about 5.5 kilometers. There are several boats going every day to the Isla Ometepe. It takes about one hour and you will arrive in Moyogalpa on the west side of the Island. Today I recommend you making an island tour by motorbike or even better by bicycle. 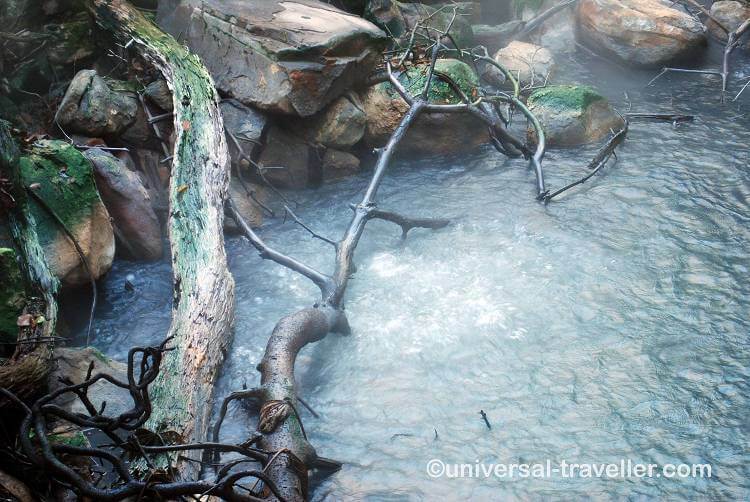 From Moyogalpa you can drive to Punta Jesus Maria, Charco Verde, Ojo de Agua Natural Pools, Santo Domingo and Altagracia. When you do this tour by bicycle it takes a whole day. The course goes partly uphill and it can be tiring with the wind. However you have time to recover at the different stops and I think by bike you will see most of this beautiful island. From Altagracia you may also take the bus back to Moyogalpa. 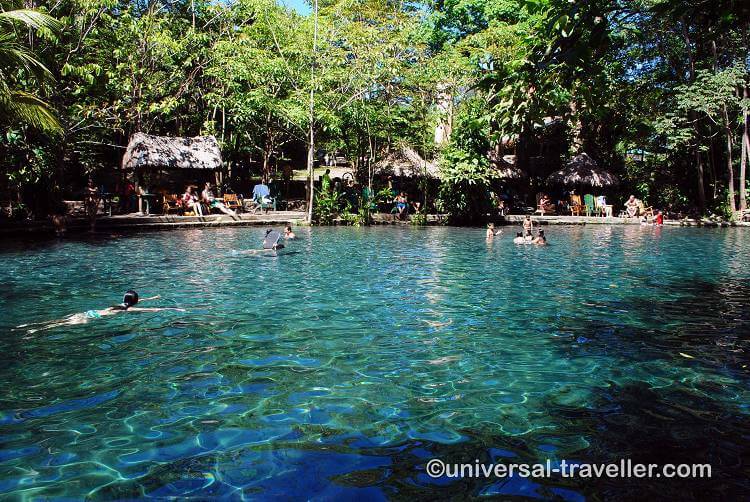 From Ometepe you can take the same ferry back to San Jorge and take a bus from Rivas to San Juan del Sur. It is Nicaragua´s Number One Surf Spot and has some beautiful beaches. Due to the fact that it is so popolar it is compared to other places in Nicaragua rather expensive. Today you can relax on one of the beaches or may hike up to the huge Jesus statue. 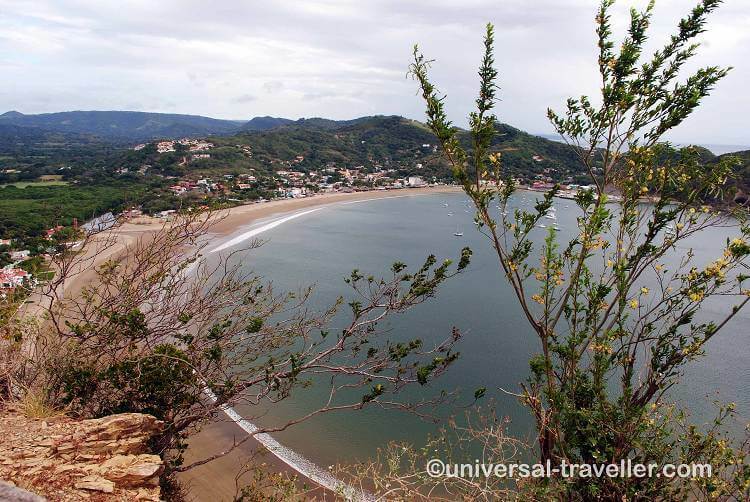 The road goes pretty deep uphill however rewards you with an amzing view over San Juan del Sur and its beaches. If you want to go back to Costa Rica you could connect this trip with the Rincon de la Vieja Volcano National Park. From San Juan del Sur take the bus to Peñas Blancas where you can cross the border to Costa Rica. From here take the bus to Liberia. 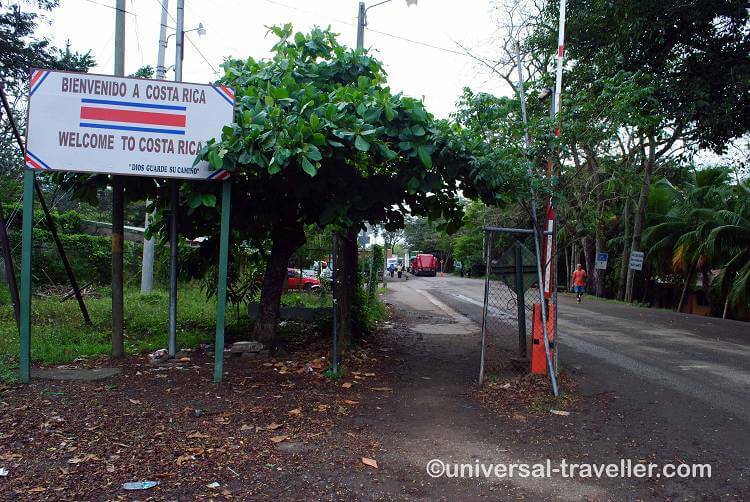 From the Liberia bus terminal there is a bus going to Curubandé which is about 8 kilometer away from the main entrance of the Rincon de la Vieja National Park. It is a very small town. The Rincon de la Vieja Volcano National Park (in Spanish: Parque Nacional Volcán Rincón de la Vieja) is located in the province of Guanacaste and Alajuela and has a size of 14,083 hectare. Within the park you can see many geothermal activities such as fumaroles, mud pots and the ¨Little Volcano¨.